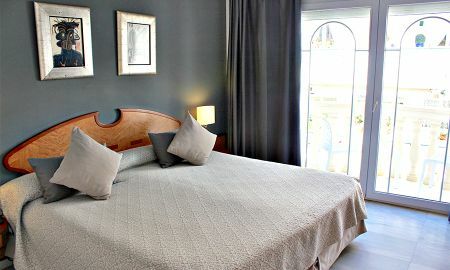 Charismatic like no other, the URH-Sitges Playa is a charming hotel set on the open, attractive and cosmopolitan town of Sitges, in a privileged spot washed by the Mediterranean and blessed with a really exceptional microclimate. 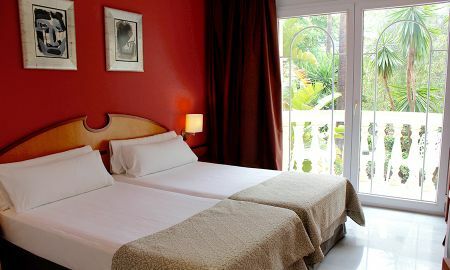 With balconies and amazing views to the Mediterranean Sea, the rooms are spacious and comfortable, with soft decoration and exquisite colours, offering all the facilities you need to enjoy a comfortable stay in Sitges. El Posit restaurant is a chic spot serving exquisite dishes prepared with the freshest ingredients and accompanied by the best wines. For your moments of relaxation, have a refreshing dip in the swimming pool or unwind in the beautiful tropical garden surrounded with trees and aromatic flowers. 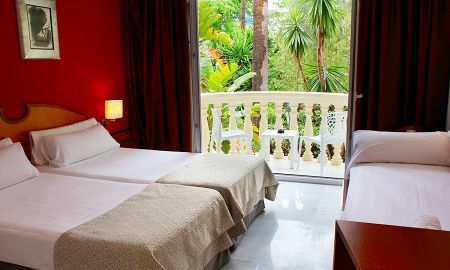 The URH-Sitges Playa hotel is only 100 meters from the historic and commercial center with the best shops, restaurants and entertainment venues. Famous spots are a short distance away from the hotel, like Raco de la Calma, museum Cau Ferrat, and the Romantic Museum.